Congrats You Budding Data Scientists! You've learned much data, many code, lots science. Let's talk about data outside the classroom. You might know me from DataLensDC, Code for DC, or Tech Lady Hackathon. I like all things data and DC, plus healthy skepticism and board games. Data.gov! Nearly Two! Hundred! Thousands! Datasets! Data.gov is valuable and great to peruse, but the number of datasets may make you more excited than you should be. More than half of the data is from two agencies (NOAA and Fish and Wildlife Services) and the majority is geospatial. 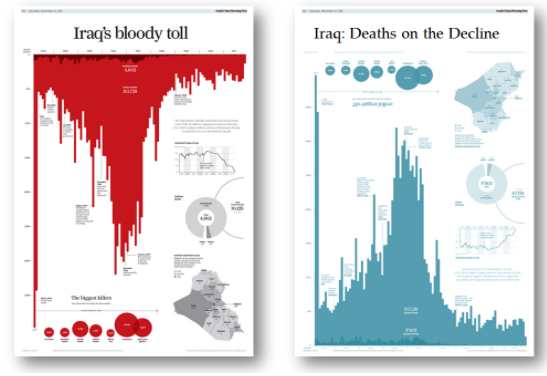 Much of the data is not a format that cannot quickly be visualized. If I know the agency owner, I typically just go to the agency's website. So many levels of granularity! 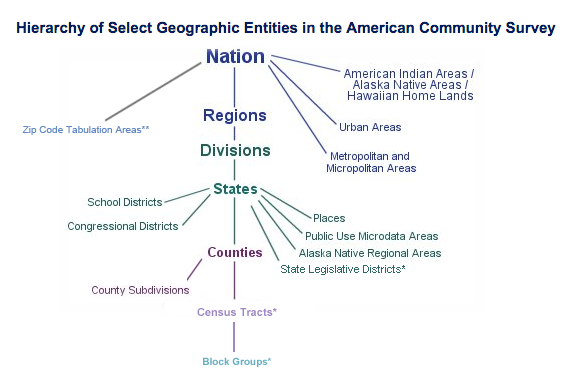 Some have more consistent (MSA) definitions than others (Regions). 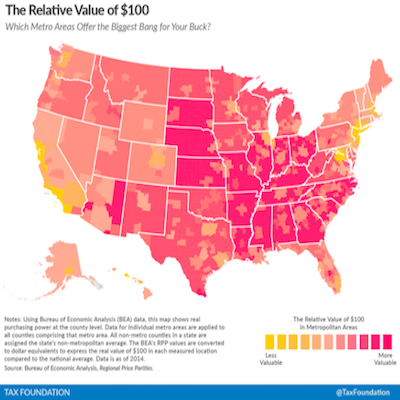 Do consider how the geographic level can impact the data. So Many Cities! So Much Data! In So Many Places! With So Little Consistency! DC open data can mostly be found at opendata.dc.gov. 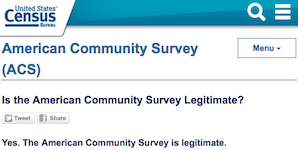 The site is by no means comprehensive. 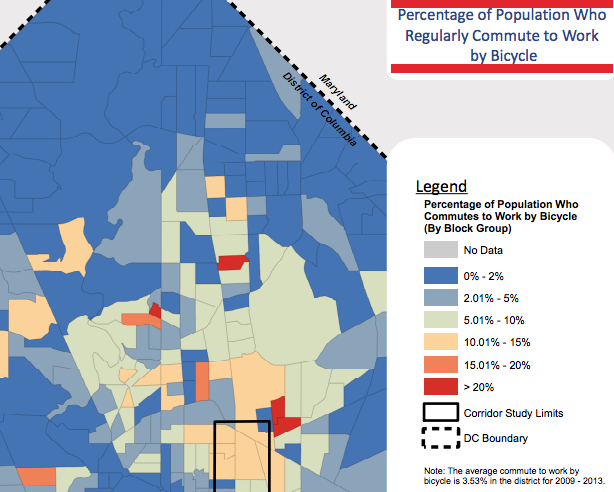 One time I tried documenting all the places to find local DC data. There are a lot. 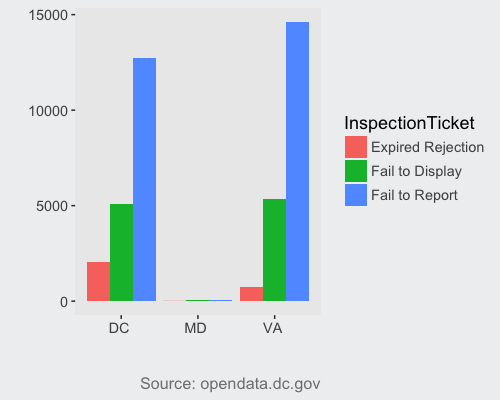 Code for DC's data portal can help you put it all together. A lot of local data (taxi trips, permits, inspections, etc.) does not have a long history of being used for research and policy and lacks the infrastructure (or did so until very recently) for accurate, complete and clean open data reporting. Documentation is often sparse. There is a good amount of government data made open. There is a lot of government data not that is open. There are many reasons for this. In many cases, you have the right to this data. You can FOIA for it. Anyone can FOIA for data. You are freeing data into the world! What a joy! Know that: your request should be as specific as possible because officals aren't always keen to fill in the blanks, delivery of data may be much longer than 15 days, you may have to pay, and the data will probably be in a terrible format. What you should FOIA: Everything. Newspapers increasingly make their data available. 538 does it the best. Washington Post collects data on police shootings. Companies have data. For some, like Kaggle, open data is a part of their model. For most, it's not. Getting that data is often a little more complicated, expensive, and/or shady. But where is, like, the cool data? An archive of Jeopardy! The coordinates of Waldo for every Where's Waldo! Annotated Classical Music! All Known Satellite Launches Since 1957! Data Portal to London's Natural History Museum! Cancer! A Million Songs! 2,600 Ted Talks*! 11,000+ proposed Constitutional amendments since 1787! 100 cities' open data sites! 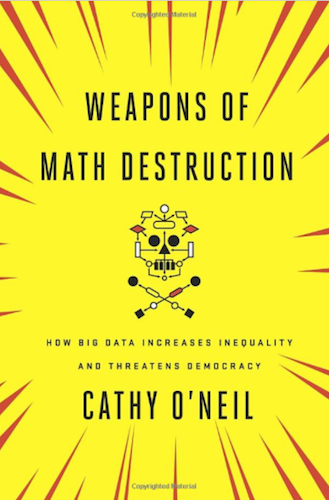 In many cases, data is an abstraction of reality. Just how abstract is important. 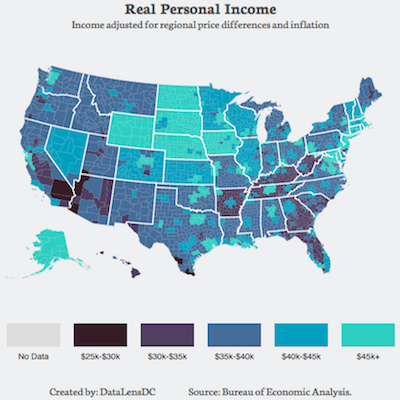 Your analysis, modeling, and visualizations will only ever be as good as the underlying data. 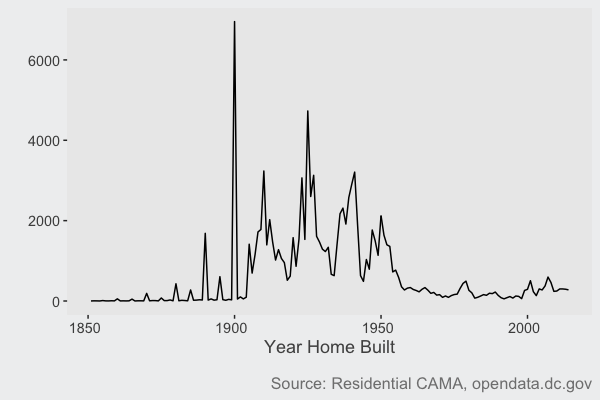 An Anomaly: Was 1900 a Boom Year for DC Home Construction? No. When the year a historical home was built is not known, it's coded as 1900. An Anomaly: Almost No Maryland Inspection-Related Parking Tickets? Vast DMV Conspiracy? No. This is a result of differences in state laws. How data is collected can be even more telling than the data itself. 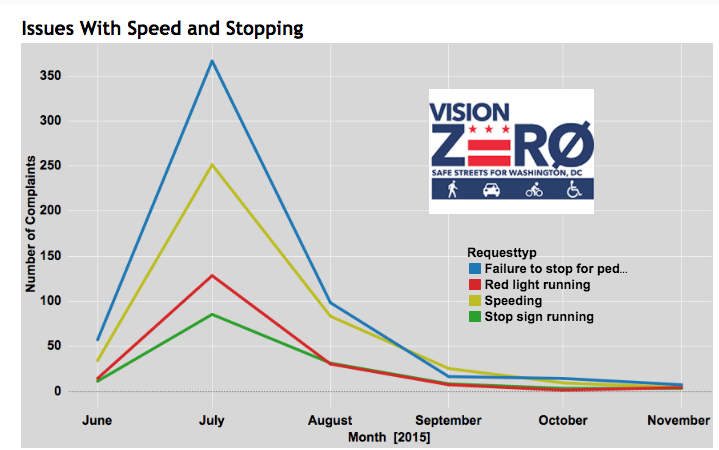 In July 2015 DC's Vision Zero initiative, to reach zero transit-related fatalities by 2020, released an app allowing citizens to report pedestrian, bike, or driving safety problems. The data has also been made publicly available, which is great! But we must be responsible in how we use that data. 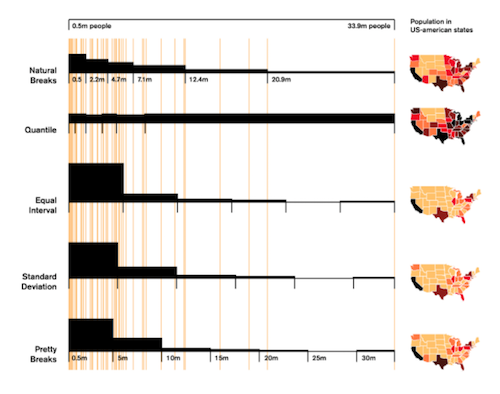 A Vision Zero Example: What's Wrong with These Charts? 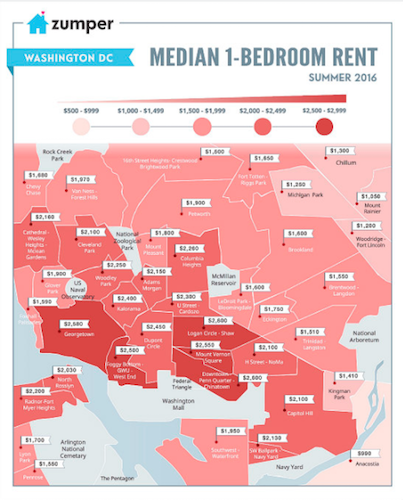 This is not reflective of DC apartments, but rather DC apartments listed on Zumper. That can be a big difference. Data science is full of judgment calls from data cleaning to modeling to visualization. But, hey, Data Science is Fun and Important! Data is created and manipulated by humans. Open source all the things.